The WHRD IC stands in solidarity with those arrested in Turkey and calls for their immediate release. 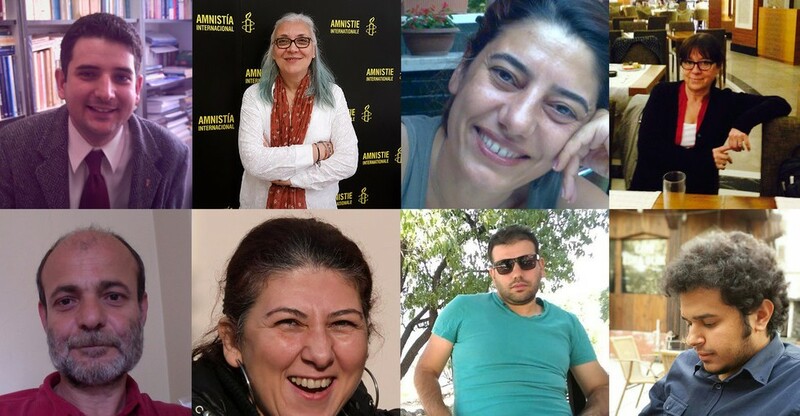 The WHRD IC is deeply concerned about the recent detention of eight Turkish human rights defenders and two IT trainers and calls for their immediate and unconditional release. Among those who were detained from a human rights workshop are prominent members of the women’s rights movement, which is a clear attempt to destabilize and demoralize women who engage in legitimate and important activism to defend and promote human rights. Those detained included some of Turkey’s leading women human rights defenders and human rights defenders carrying out crucial human rights work and two internationalIT trainers. They are: Idil Eser, Director of Amnesty International Turkey; İlknur Üstün, Women’s Coalition; Günal Kurşun, lawyer, Human Rights Agenda Association; Nalan Erkem, lawyer, Citizens Assembly, Nejat Taştan, Equal Rights Watch Association; Özlem Dalkıran, Citizens’ Assembly; Şeyhmuz Özbekli lawyer; Veli Acu, Human Rights Agenda Association; Ali Gharawi and Peter Steudtner both IT consultants delivering the training. The detention took place on 5 July after Turkish police raided a hotel in Büyükada, Istanbul where the group was holding a capacity building workshop for human rights defenders. All ten individuals were held incommunicado for more than 28 hours. The day after, on 6 July, lawyers were told that their detention had been extended for seven days, an extended period applicable for terrorism related investigations under Turkey’s state of emergency. It could be extended for a further seven days on request of the prosecutor before being brought before a judge. All are being investigated for membership of an ‘armed terrorist organization’’. “This new low by the government demonstrates they will not shy away from going to extreme lengths to criminalize dissenting voices. The international community must not remain silent” stated one of the members of the WHRD IC from Turkey who requests to be anonymous due to security reasons. In November 2016 the WHRD International Coalition released a statement expressing grave concern about the attacks on women human rights defenders in Turkey. These detentions are yet another mark on an increasingly tarnished human rights record in Turkey. It is not acceptable for the international community to continue to remain silent before the onslaught on human rights and against those who dare make a stand in Turkey. President Erdoğan is presently meeting with world leaders at the G20 Summit in Hamburg – they must hold him to account for this deliberate attack which is a grotesque abuse of power.